Small green spotlights are often chosen to blend in with planting, located amongst low planting at the front of the border to light backwards at larger shrubs and trees behind. Elipta’s COMPACT spike spotlight range features a dark green option in both 12v and 240v, offering the choice of using standard halogen lamps or low-energy l.e.d. lamps. 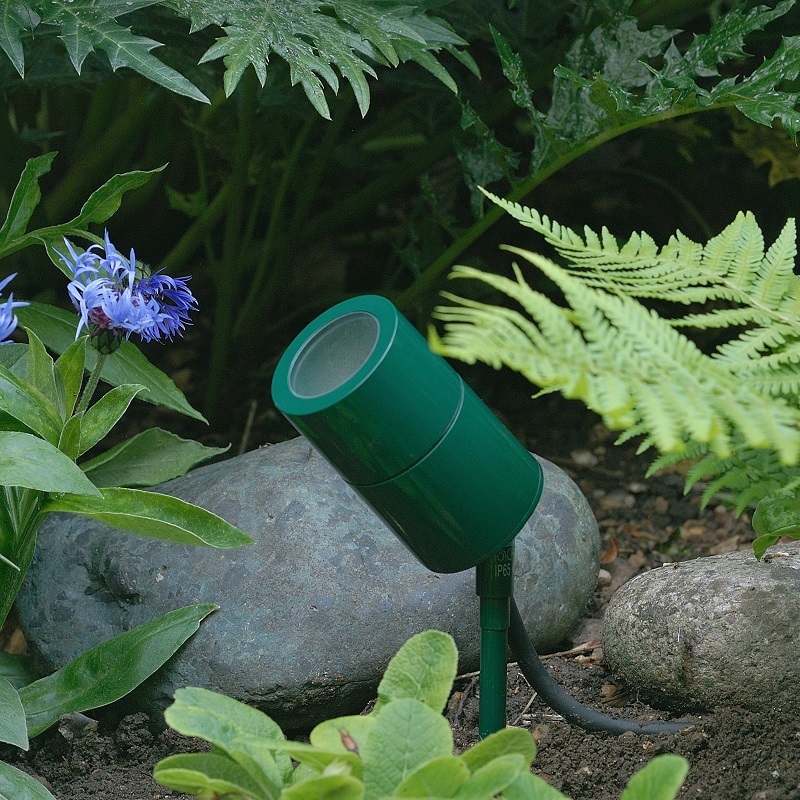 These green spotlights can also take a unique 25cm green extension spike which can raise the spotlight body as plants grow without rewiring - an easy solution to seasonal growth in borders. Green tops are available for Olympus metal halide and smaller Modula led recessed uplights so they are less conspicuous when installed in lawns.